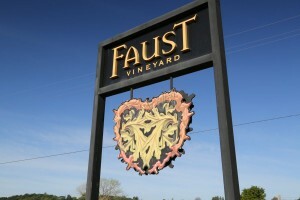 Faust was founded by long time vintner Agustin Huneeus. 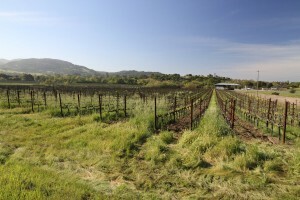 He has spent his entire career in the wine industry with connections to various wine growing regions that span the globe. 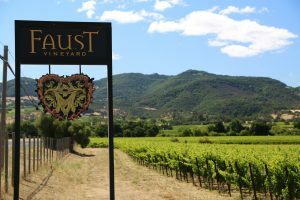 In Napa he is most well known for opening the ultra-premium winery Quintessa and in fact for many years Faust wine was made at Quintessa. Both Agustin and his wife Valeria were born in Chile and are wine industry veterans. 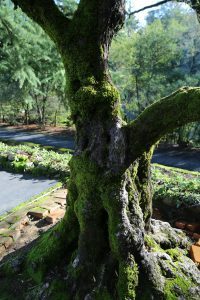 Valeria is a microbiologist and viticulturist and was the one who originally discovered the land for sale that is now home to Quintessa. By age 27 in 1960, Agustin was the CEO of Concha y Toro – a small winery at the time that he ultimately helped build into Chile’s largest producer. In the early 1970’s he worked at Seagram’s and oversaw their worldwide operations. 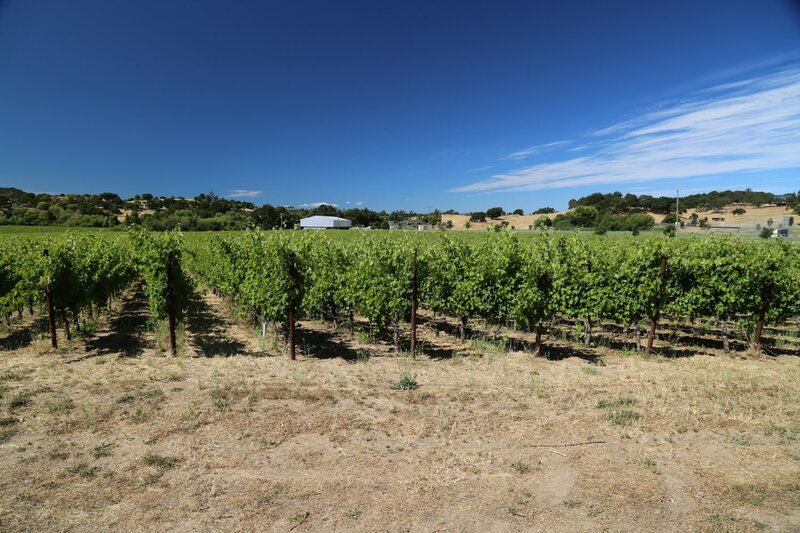 Later he became involved in a remarkable number of wine ventures including Franciscan Estate and Flowers Winery and in 1999 founded Huneeus Vintners (owns Quintessa among other brands and properties). Agustin and Valeria’s son Agustin Francisco currently oversees their family’s wine holdings. The name of this winery is based on an old German legend. Faust is a tribute to this old legend about Dr. Faust who was described in the German poet Goethes’ work. In the story, Dr. Faust was tempted by the Devil to exchange his soul in return for youth, energy and passion. The comparison can be made to Agustin’s renewed passion for making wine in a totally different manner than all his other endeavors. Throughout his wine career, and it has been a long one, Agustin has always produced wines with the intent to showcase great vineyards – in other words directly reflect the individual terroir of the specific vineyard’s location. However this is not the case with Faust – the premise behind this wine is to ultimately showcase Cabernet Sauvignon from Napa. 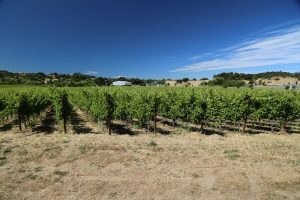 All fruit is sourced from Huneeus’s own vineyards in Rutherford as well as from Coombsville, a slightly cooler growing climate found just east of the town of Napa. The same attention to detail that Huneeus gives his Quintessa wines is bestowed upon the Faust wines in the vineyards, during harvest and during the aging. 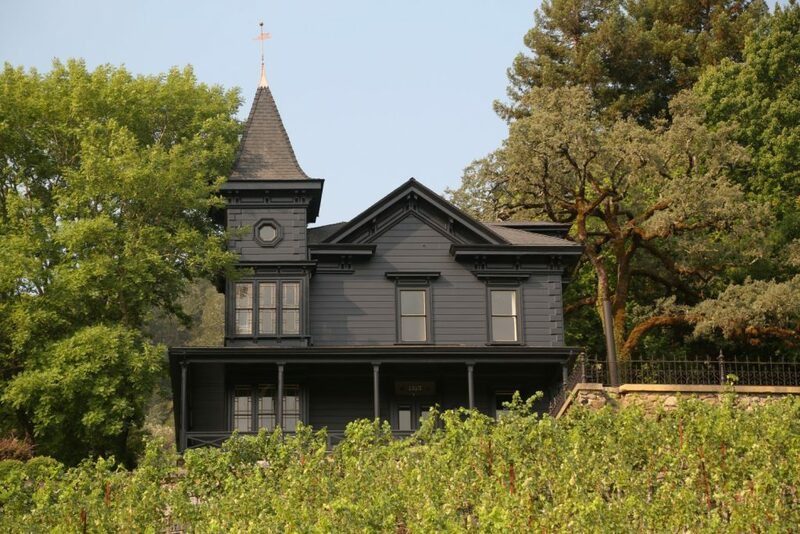 Initially the winery specialized in one wine each year – but now they produce a Napa Valley Cabernet Sauvignon and The Pact, a rich red blend – both available in very limited quantities. The first vintage ever of Faust was from 2002. We tried their 2005 vintage; this wine is a blend of Cabernet Sauvignon, Merlot and a touch of Cabernet Franc. 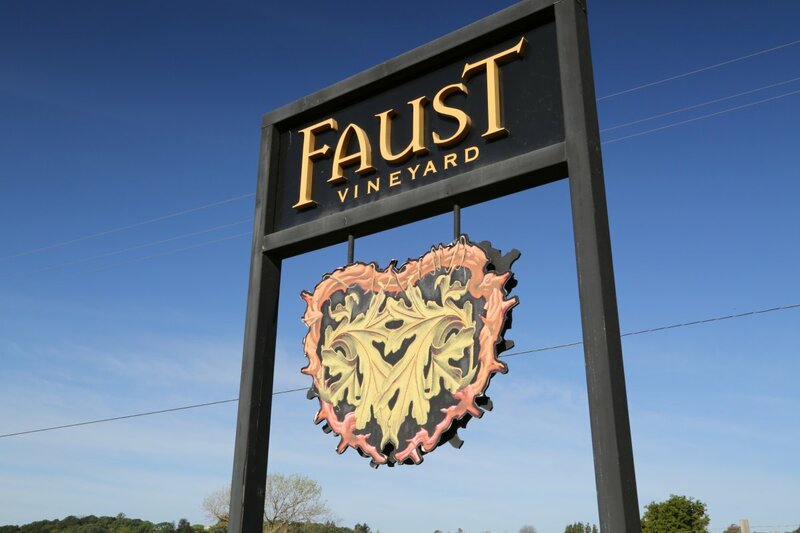 The minor blending varietals will change depending on the vintage, but Cabernet Sauvignon remains the dominant varietal in every Faust wine. As with prior vintages this is a rich complex wine dark in color. An exotic combination of herbs, notes of cedar, blackberries & cherries coat the palate. This wine is designed to be consumed now and its styled to be paired with food but it can also be aged. The tannins are moderate and do not overwhelm; there are some spices on the very long finish. Note that Wine & Spirits voted this wine #9 on their best restaurant Cabernet Sauvignons in the nation. NOTE: as of 2018 the old St. Clement Winery (hospitality center) is being remodeled to eventually reopen as the home of Faust Wines. To date the exterior has been painted a solemn dark color – blending in the building more with the natural surroundings compared to the previous bright exterior look. This winery site is rich in history which we will outline in more depth once Faust actually opens the property to the public. 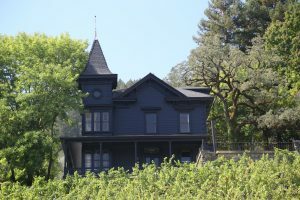 The historic home was built in 1878 by Fritz Rosenbaum (with the proceeds earned from his glass and mirror company based in San Francisco at the time). He called this mansion Johannaberg – named in honor of his wife Johanna. He made lots of wine here (fermenting primarily Riesling and Zinfandel in the basement of the home) but never sold the wine. William Casey, an ophthalmologist (who we met years ago at a tasting in St. Helena) founded St. Clement in 1976 and built a winery behind the iconic historic home. He chose the name St. Clement to honor his ancestors who helped found the state of Maryland. He eventually sold St. Clement to the Japanese brewer Sapporo USA in 1987. 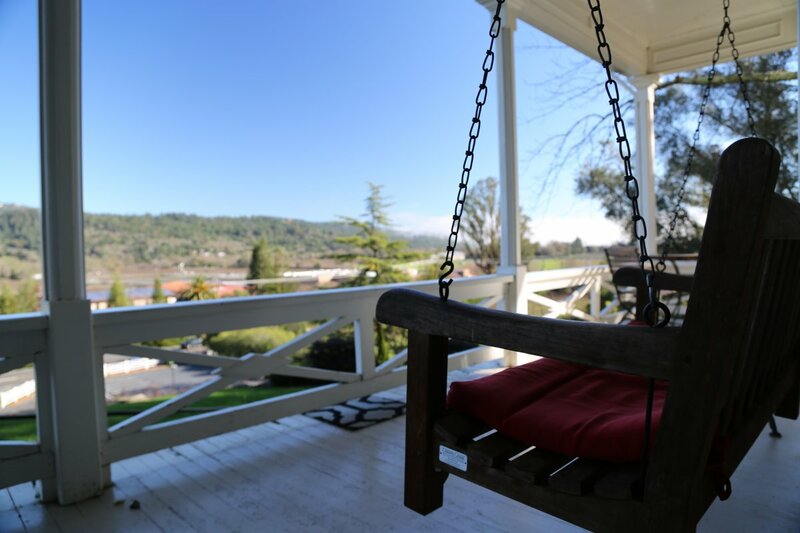 Treasury Wine Estates was the previous owner – they sold the winery, home, land + vineyard to Huneeus Vintners. 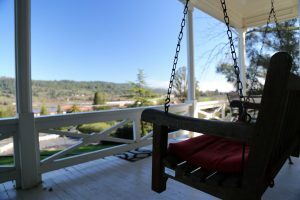 We are waiting anxiously to revisit as soon as Faust opens this property to visitors again. I live in Ventura county can I order or pick up some close to home ? 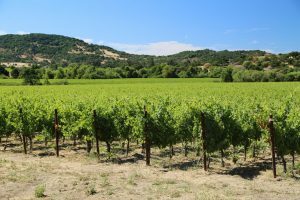 Huneeus Vintners is a family owned and run company for two generations, and no stockholders, with over 500 family owned acres under vine in Napa. Faustini wines is a Jersey shore poser with a winemaking hobby, zero acres under vine and a three-stars-on-yelp tasting room in New Jersey, who pays Laird Estates to make their wine. Huneeus Vintners is one of the most genuine Napa family owned businesses in the industry. Faustini is a faker and liar with zero understanding of trademark law. The real question is why is a fraud like Faustini harassing the Huneeus family with Trumpian projections? Could they be worried about losing their New Jersey country club membership or is it a vector for money laundering? I have gradually detected a certain bitterness in the Faust blends, as if the stain of the vintners cheating and lying has leaked into the bottles. I look at m children, I look at the bottle, and I now find it undrinkable, acidic to the point of being acid.